Jon Davies tells us about it straight from the horse’s mouth. 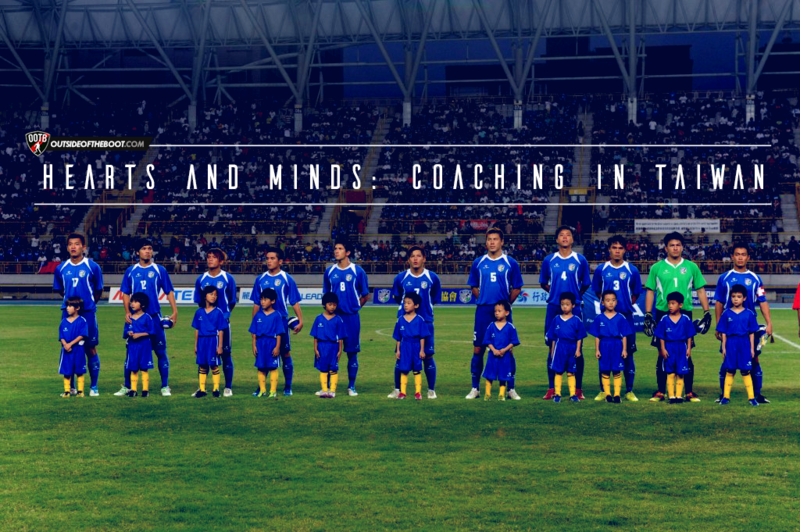 A coach in Taiwan, he writes in about the state of the beautiful game there. 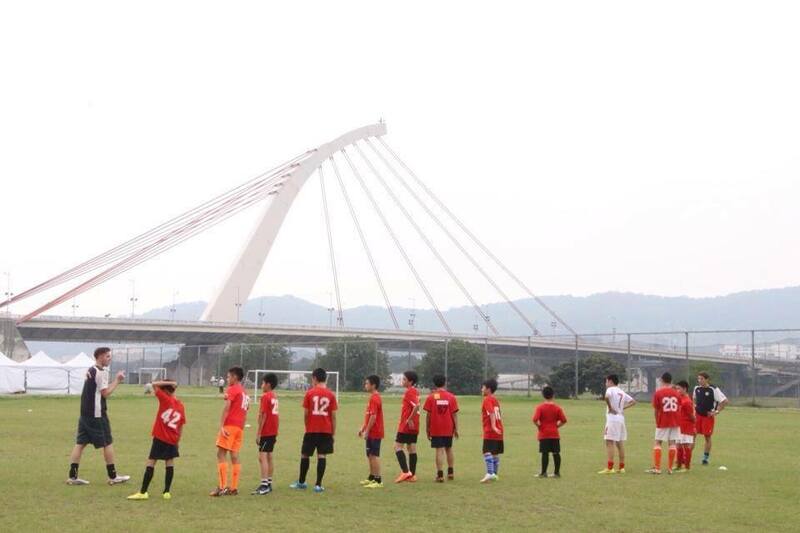 Since 2013 I’ve been a football coach at the largest football academy in Taiwan. ‘Taiwan?’ you may ask. And you wouldn’t be the first! To the south east and firmly in the shadow of the imposing mass of China, lies the small tropical island of Taiwan. In the face of China’s repeated claims over Taiwan’s sovereignty, the vast majority of the island’s 23 million inhabitants have steadfastly and admirably fought for and (at the time of writing!) retained their independence. In fact, Taiwan has even developed the 21st largest economy in the world. A minor miracle to some! Despite economic and political strength in adversity, Taiwanese football is currently a million miles behind the rest of the world. As of last month, the national team (aka Chinese Taipei) languished in 191st in the FIFA World Rankings. To put this in perspective they share the esteemed company of footballing minnows such as the US Virgin Islands, Papua New Guinea and Suriname, places that I’d struggle to pin on a map! Such a low ranking hails from a disastrous 2015, in which Taiwan lost all six 2018 World Cup qualifiers, conceding 19 goals in the process. When we consider Taiwan’s political and geographical position, the uncontrollable external reasons for their shortcomings are blatantly clear. Across the water in China, the interest and development in the game has rocketed. Arsene Wenger has recently suggested that Europe should fear increasing Chinese influence and it’s clear to see why. As recently as January 2016, clubs in China paid a total of £90 million for the services of Jackson Martinez, Ramires and Alex Teixeira. A clear testament to the growing pull of a Chinese Super League that was once satisfied in luring old legends and mercenaries such as Didier Drogba and Nicolas Anelka for one final pay day. One feels that with so much investment and interest ploughed into the game by the government, it’s just a matter of time before China makes good on its promise of vastly improving the current lowly position of 81st in the FIFA World Rankings. Whilst the Chinese football revolution shows no signs of abating, the footballing minnows of Taiwan are left to look enviously across the sea as they map their own course for the improvement of their footballing system. However, the route to such improvement is long and daunting indeed. To explain the first steps along this daunting road, I must take you back to my childhood and the hallowed, heady nostalgia of Euro 96. At the time, I was 9 years old and I vividly remember as the country fervently got behind footballing heroes such as Paul Gascoigne, Teddy Sheringham and Alan Shearer. After every England game, I remember eagerly swiping the ball from underneath my bed and knocking the doors of my friends, going to the park and emulating those iconic moments for hours on end! I recently told this story to a group of 9-year-old kids that I coach, as I showed them a video of THAT Gazza goal (you know which one I’m talking about!). The reaction was disappointing as they gazed with open mouths and vacant eyes. I asked them about their heroes and who they wanted to emulate one day and I got a grand total of 3 football players (from a total of 40 kids!)! Messi, Ronaldo and Neymar! This may seem insignificant and alien to most but how can you ignite passion and enthusiasm for the game when you have no national heroes? Why are there no Taiwanese heroes, you may ask? It’s at this point that I must give a salient piece of information, namely that Taiwan has no professional football league! Of the 39 players that have represented the national team in the last twelve months, just 9 play professional football for their club teams (1 in Belgium and 8 in China). The rest play in the half semi-professional, half amateur Taiwanese InterCity League. Whilst televised on cable TV and with many matches played at national stadiums in the major cities of Taipei and Kaohsiung, viewing figures are exceptionally low. Stating the obvious, football isn’t a big deal here. And it makes life as a football coach exceptionally difficult. As an international academy that recently became 10 years old, it is often a rocky road to educate and to enthuse the local population about the beautiful game. Finding venues at which we can comfortably coach is a difficult task, as priority is given to other pursuits and more parochial Taiwanese football schools, with their often archaic and less well informed practices. As an integral element of Taiwanese culture and belief, academic achievement is considered a far superior and ‘a safer bet’ to success in later life, as opposed to sporting and athletic development. As the coach of our select U12 team, I can tell you that this is particularly frustrating for me, as I develop talented 10, 11 and 12 year olds, only to see them ‘drop off the face of the Earth,’ after entering junior high school and watching them drown in a flood of homework and exams! Those poor kids! And so the key here is obvious! To improve football in Taiwan, the Chinese Taipei Football Association (CTFA) and all other football outlets must work harder to win the hearts and minds of Taiwanese people. With greater attendances and more financial support, Taiwan may begin to form its first professional football league. This is key in my opinion as it’s the only way to stop the haemorrhaging of domestic talent to the riches of professional football in China and most importantly it will give what Taiwanese kids so sorely miss; a Taiwanese national football icon! Icons that we take for granted in more developed countries. Icons that can inspire the next generation! Whilst the recent past may have been bleak the outlook for the future is definitely more positive. After a match-fixing and corruption scandal in 2015 shook the CTFA to its very foundations, leading to the resignation of its chairman Lin Chen-yi, the national team has embarked on a relatively successful 2016. 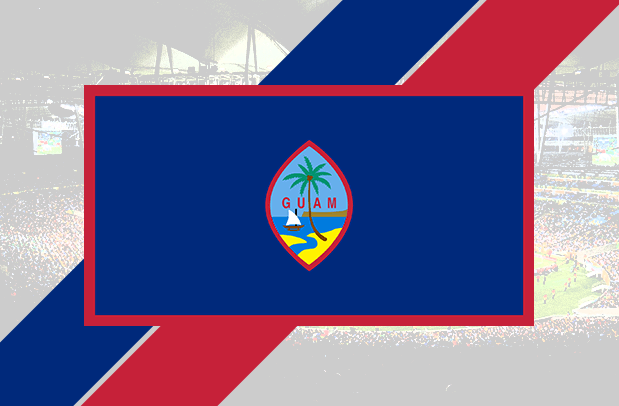 After beating Guam (ranked 31 places higher) 3-2 in a friendly in March, they have lost just twice in 8 games. And after a record attendance of 20,239 for a World Cup qualifier vs Vietnam in September last year, the Taiwanese appetite for football is certainly increasing. And so whilst your eyes are drawn to the new football powerhouse in China and whilst you salivate over the limitless beauty conjured by magicians on the finest stages in Europe, remember that football can’t always be ‘the beautiful game’ and that there are still those of us fighting and waging an endless war for its honour in some dark, far flung place of the world! Born in Stoke. Raised as Welsh by a Welsh father. Massive Stoke City fan. Qualified football coach, coaching in Taiwan for the last three years.